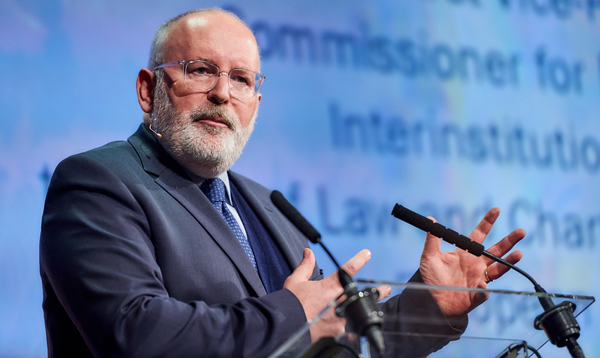 Frans Timmermans, the Commission’s First Vice-President, emphasised that the fourth industrial revolution was on the horizon. This will bring changes that will affect “every single human being on earth”. It will cause much turmoil and alter the way we produce, live our lives and relate to each other. “I would like you to see the need to change the CAP in that context,” he told the audience in his closing keynote address on working together towards a better and healthy common future. “Change is coming whether we like it or not. So the choice before us is are we going to try and embrace change and mould it in a way that serves the values we share as Europeans or are we just going to wait,” he added, urging the EU to take the first option. Striking an optimistic tone, he maintained the CAP is “almost there” in preparing itself to provide sustainable production of the high quality and varied food the public demand. “I think we can adapt and I would like our CAP to be one of the driving forces to help us move in that direction,” he said. As the EU prepares for change, the First Vice-President highlighted the danger of growing tension between urban and rural areas as if they were “two completely different worlds with different requirements, different people and different ideas”. He stressed he saw no sustainable future for Europe’s rural areas “if they are not in harmony and in sync with our urban areas and vice versa”. Both must understand that their destinies are linked. With that realisation, he firmly believed “we can change the CAP in the direction that it needs to be changed”.